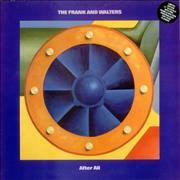 The Frank and Walters are one of the most recognizable alternative rock bands hailing from Cork, Ireland in the past 2 decades. The band: Paul Linehan (Lead vocal & bass), Ashley Keating- (Drums) Rory Murphy (lead Guitar) and Cian Corbett (Keyboards) took the band name in honour of two eccentric Cork characters. Two decades on from the release of their very first record, and the Franks continue to defy expectations. With Indie hits such as ‘Fashion Crisis Hits New York’ & ‘After All’ (which reached the top twenty in the UK Singles Chart, where it peaked at 11. The group also appeared on Top of the Pops in support of the single; it went as high as 5 in the Irish charts). Their music today is as relevant as any of the new pretenders on the block and only a handful of bands anywhere in the world can lay claim to such longevity of popularity. Each year, the Frank and Walters perform sell out venues across the UK, Europe, and the US and their records, both new and classic, continue to sell across the world.